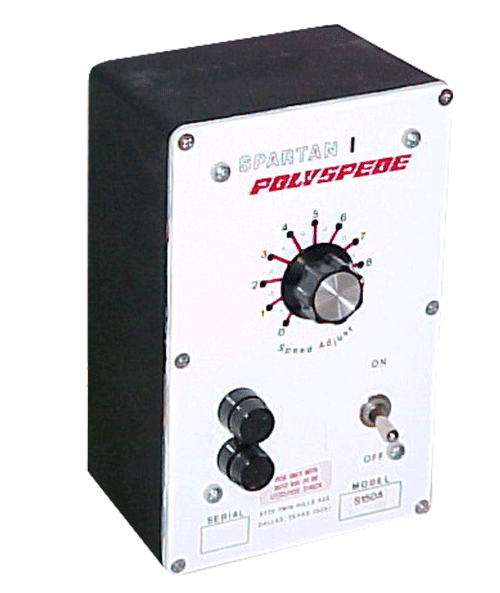 I is a low-cost, totally enclosed SCR DC motor speed control which operates from a single-phase AC power source. The control is designed for quick and easy installation without having to make any adjustments. Fixed torque limit – 150% of motor’s rated torque or current. Optional gasketing makes the Spartan I watertight. 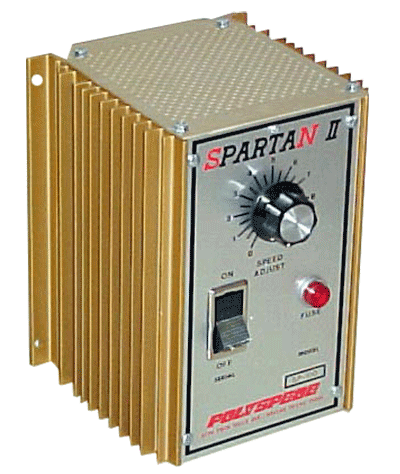 is a versatile high performance, industrial grade SCR DC motor speed control in a compact, easy to mount ventilated enclosure.The Spartan II has field adjustments to allow the user to obtain the required motor performance.The full wave rectified DC output can be controlled either by speed programming or torque programming. Torque (current) Limit: Adjustable from 75 to 200%.